Mercury Filling, Amalgam Filing Removal in Santa Barbara - Dr. Mark T. Weiser — Dentist in Santa Barbara, CA | Dr. Mark T. Weiser D.D.S. Are you interested in having silver fillings removed and replaced with tooth-colored fillings? Beyond silver filling removal providing a more aesthetically pleasing outcome for the purposes of an attractive smile, there are health considerations to be aware of as well. Safe removal of amalgam fillings is important to the patient as well as the dentist performing the procedure. Amalgam fillings contain mercury, one of the most toxic substances known. In recent years, much research has been done on the impact of this material in teeth and as a result, more Santa Barbara residents than ever are looking to replace their silver fillings. At the mercury-free dental office of Dr. Mark T. Weiser, DDS, we take amalgam filling removal seriously. Amalgam fillings contain mercury, a toxic substance that can have far reaching effects on your health, especially over time. In addition to causing problems in the body, the vapors from mercury are often described as poisonous gas. Even the FDA has reclassified dental amalgams as potentially hazardous. Amalgam fillings are also susceptible to temperature changes, which can make teeth more vulnerable to cracking and chipping as well as further tooth decay. Safe amalgam filling removal by a skilled dentist keeps the patient, the dentist, and dental assistants safe from the toxicity of the mercury. No More Metal in my mouth! I am so happy that I came to Dr. Weiser. He took the silver fillings out of my teeth. He makes sure you never feel pain. He has such a gentle touch. In our Santa Barbara dental office, we offer a variety of general, restorative, and cosmetic dentistry options. If you want a mercury-free restoration, we can help with safe amalgam filling removal and replacement of a better-looking and more bio-friendly option. Whether you need straight-forward white fillings made from composite resin or are interested in onlays and crowns, we perform mercury free restorations safely and carefully in our office, using the latest in dental technology and mercury safe filling removal protocols while striving to keep you as comfortable as possible. Dental schools still teach dentists to use amalgam (silver) fillings and the American Dental Association (ADA) continues to tell the public they are safe. But recently more and more questions have been raised about the safety of the mercury vapor released from amalgams. This has resulted in a controversy and an ongoing debate about them – with some dentists saying they are safe and some saying they aren’t. This has now evolved to the point where over 50% of practicing dentists are no longer putting amalgam fillings in their patients’ teeth. Also of interest is that three countries, Norway, Sweden and Denmark have banned the use of these fillings in the dental practice. This controversy has made me rethink what I was taught in dental school. After extensive research (including reading Dr. McGuire’s book The Poison in Your Teeth: Mercury Amalgam (Silver) Fillings… Hazardous to Your Health, and information provided on the ADA’s website, I concluded it would be in the best interests of my patients to no longer offer amalgam as a filling material. In addition, because it has been proven that high levels of toxic mercury vapor are released when amalgam fillings are removed, I’ve made my office as mercury-safe as possible. To that purpose, I use state-of-the art technology, equipment, and safe removal protocols to protect my patients, my staff, myself and the environment from excessive, and unnecessary, occupational exposure to mercury at my office. Thus, I’ve now made my practice both mercury-free (amalgam-free) and mercury-safe. Becoming both a mercury-free (amalgam-free) and mercury-safe dental practice was my decision but I believe that deciding whether or not to have your existing amalgam fillings removed and replaced must be your choice. Because I place great importance on Patient Education, I feel it is my responsibility to educate my patients about the relationship of oral to overall issues and to provide them with the information required for them to make educated decisions. That is why we provide Dr. McGuire’s books and why we also encourage patients to go to the ADA’s website (www.ada.orq) to learn more about the pros and cons of removing, or keeping, these fillings. But again, we want to make it clear that the decision to remove and replace these fillings can only be made by you. Dr. Mark T. Weiser is part of the International Association of Mercury Safe Dentists Members. Hg Emission from Amalgam Actually Measured. A STUDY ON THE RELEASE OF MERCURY FROM DENTAL AMALGAMS. This study was initiated in collaboration with the IAOMT to determine the amount of mercury released into distilled water at room temperature by dental amalgams. Please watch the IAOMT Video to learn more. Talk to us at our Santa Barbara dental office about mercury safe filling removal today. 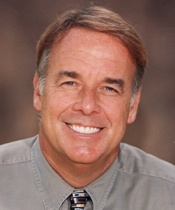 Dr. Mark T. Weiser is a Holistic dentist in Santa Barbara and Dr. Weiser and his team would be pleased to help you improve the look and health of your smile. Call (805) 899-3600 for a consultation.